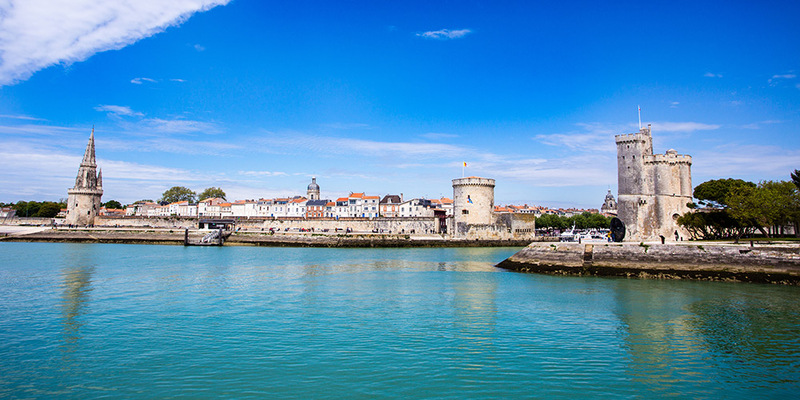 La Rochelle is the charming port capital of the Charente-Maritime, a popular holiday region in south-west France that’s also home to other fabulous destinations like Royan, Rochefort and the Île de Ré. While the city itself offers up opportunities for touring medieval fortresses and admiring pleasure boats in its picturesque harbour, the surrounding area is a beautiful spot to base yourself for a French camping holiday near La Rochelle. La Rochelle is a city that gets the best of both worlds when it comes to bustling attractions and outdoor pursuits thanks to its position just south of the sunny Vendée and its close proximity to a handful of fascinating towns. Enjoy golden sand beaches and quaint fishing villages on Île de Ré and Île d’Oleron or experience a French seaside resort at Royan. If you’re a fan of oysters, Marennes is famed for them as well as for being a more traditional and relaxed option for a seaside getaway. Further inland, you’ll find fields bursting with bright sunflowers in addition to forests and canals in the Marais Poitevin National Park. 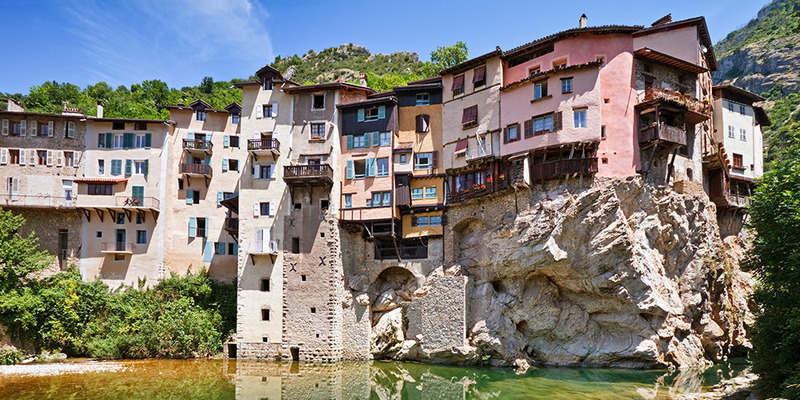 There are also plenty of historic towns to lose yourself in for an afternoon, including Saintes with its Roman ruins and Rochefort with its naval heritage and elegant 17th century architecture. There’s no campsites in La Rochelle itself but you will find several great options a short drive away. If you’re hoping to pitch a tent or rent a luxury mobile home within walking distance of the coast, you’re in luck as there are plenty of campsites by the beach. 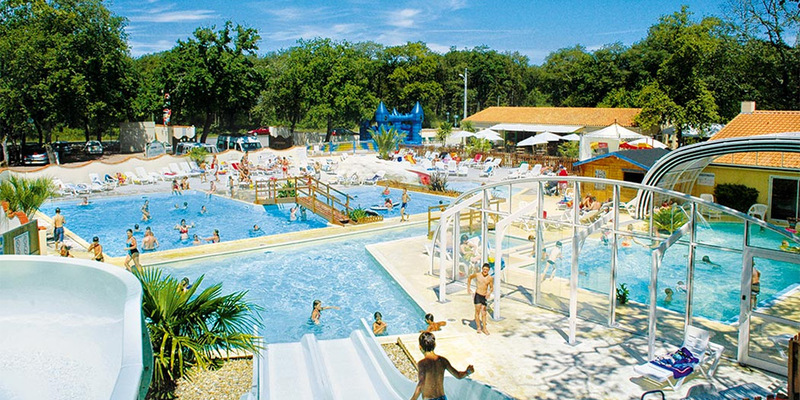 Families will no doubt enjoy a stay at Airotel Oleron, a campsite on Île d’Oleron with a longlist of activities including horse riding, kid’s clubs and water sports like paddle boarding, kayaking and surfing. On the mainland, Catalpas puts you within four miles of Royan and the idyllic beaches of the Bay of Biscay. And for something more unique, Domaine des Charmilles has an enticing pool complex as well as the option of hiring bikes to explore the Fouras peninsula. With its warm climate and seemingly unlimited range of seaside attractions, you definitely won’t find yourself short of things to do and see when camping near La Rochelle. Palmyre Zoo – This impressive zoo brings you up close to a huge collection of species from five continents, plus you can actually feed and pet some of the larger animals. Saintes – Located inland, Saintes is where you can visit the ruins of an Amphitheatre and the atmospheric crypt of the Eglise St. Eutrope. There’s also the ornately carved Abbaye aux Dames that’s now an impressive cultural centre. 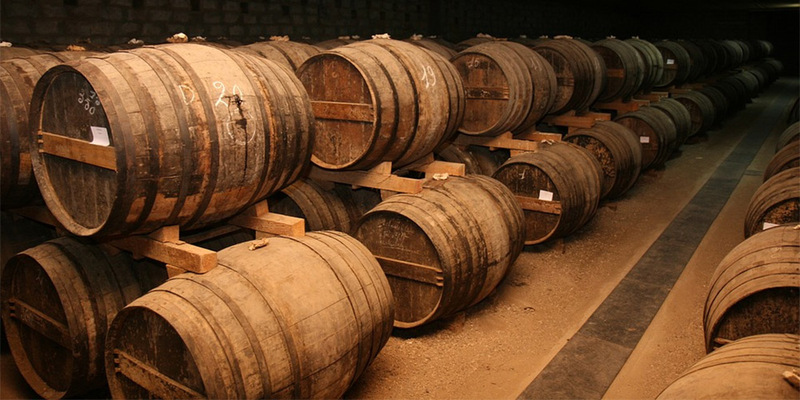 Cognac – Located in neighbouring Charente, Cognac is bursting with distillery tours and wine trails. Don’t miss the Musée des Arts du Cognac where you can find out more about its history and economic importance. Ile de Ré – A small flat island with white-washed houses, sandy beaches and miles of cycle tracks to explore. At the lively harbour of St Martin-de-Ré, children can ride on the ‘donkeys in pantaloons’ – traditional clothing that protected the animals from mosquitoes out on the salt marshes. Royan – Royan was one of France’s original seaside resorts, and the upmarket shops and large number of restaurants reflect its enduring popularity. A pleasant climate and miles of sandy beaches make it particularly family-friendly. Ile d’Oléron – Cross the bridge to Ile d’Oléron and follow the ‘Oyster Road’ to discover traditional methods of oyster cultivation. At the far north of the island, visit the distinctive black and white lighthouse at Phare de Chassiron to admire the views from the top. La Rochelle – La Rochelle is a delightful city with outstanding seafood restaurants. The top attraction for families is the large and exciting aquarium, complete with shark tank.